Pick an LP or CD of 1920s or 1930s jazz recordings and there is a good chance that the name John R.T. Davies will be listed as the remastering engineer. Over the course of the last 50 years, John R.T. (as he is known) has transferred literally thousands of classic jazz recordings originally issued on 78 onto newer media, thereby making them accessible to a far wider audience than the privileged few who are lucky enough to own the originals. He is still busy today, working for record companies around the world. John R.T.'s appreciation of jazz is obviously deep-felt and earnest. Although he is an avid collector of 78s, he is no "stamp collector" or hoarder. His philosophy is simple - these discs are to be used, not only for pure enjoyment of the music but also to help put into aural perspective the developments that have taken place in jazz and popular music over the last 80 years or so. To use his words: each record is a time machine. N.D. Once you had discovered jazz, did you then spend all your pocket-money on buying records? J.R.T. Absolutely. I used to buy them new in shops, as I had not yet discovered that there was such a thing as a junk shop where one could buy records for threepence. A new record would take up a month's pocket money. When I started collecting, I bought the Fats Waller HMV BDs and the Armstrong Deccas - things like that. These were cheap. If you wanted the Benny Goodman Orchestra, it was three bob, but that didn't have quite the satisfaction value for me anyway! N.D tell me something about how that got started? J.R.T. It was around late 1949 when I produced my first reissue, but in fact I had the means to record before this. Indeed, I recorded the Crane's in their earliest days. N.D. So when did you first become interested in sound engineering? J.R.T. I think at the age of about six. Unlike most people these days who seem not to discover what they were intended for until they're gone 30, I had a damn good idea what I was interested in very early in life. In fact, it was in 1941 that I made my first disc recording. This was on equipment that I had put together myself. I floated some molten candle wax across the back of a single sided shellac disc and used this as a blank recording disc. I cut a recording into that using a modified telephone earpiece, which actually gave me a hill-and-dale cutter. While I can say that the recording was recognisable for what it was supposed to be, it really wasn't very good! N.D. When you formed you own record company, you called it Ristic. Why that name? J.R.T. This was a nick-name I had been given when a kid at school. N.D. As someone mainly interested in sound engineering, why did you want to set up your own company? Why not work for a large record company with lots of expensive equipment on hand? J.R.T. Well, I wanted to do things which at that time were, shall we say, not ordinary. I had no desire to work for a national or international record company. I only had an interest in disseminating music that I thought was worth disseminating. My earliest recording equipment was largely home-built or acquired for pennies, which was all that I had. In those days, to buy a piece of recording equipment, either you were dead lucky and got something that once belonged to the Post Office and had been thrown out onto a dump, or you had money. The first Crane River recordings were made with microphones extracted from telephones - carbon granule jobs. N.D. In addition to recording the Crane River band, which other band's did you record during the early days of Ristic? J.R.T. Not very many. Basically the bands I happened to be in. In 1952, I made a couple of sessions of the Steve Lane band, which I was in at the time. I made recordings of the Cy Laurie band when I was in it, and in fact some when I was not in it. 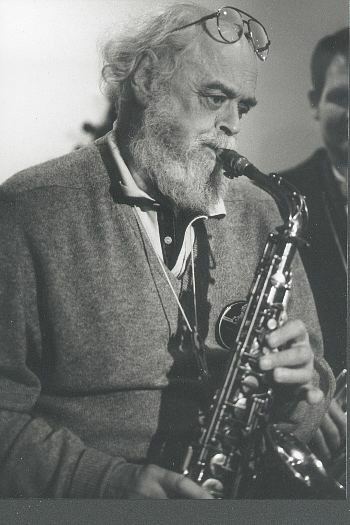 Sandy Brown (another revivalist bandleader who employed the services of John R .T. - n.d.) always promised that he would allow me to make a recording of the band but in fact it never happened. I also recorded The Temperance Seven. Later on I recorded a lot of other bands that I wasn't in, mainly at the behest of Doug Dobell (the owner of the famous Dobell's jazz record shop in London, a meeting place for jazz aficionados and record collectors - n.d.). N.D. How would these records be marketed? J.R.T. Doug marketed these records from his shop, under the "77" label (77 Charing Cross Road being the shop's address - n.d.). They didn't appear for sale anywhere else. We were faced with a big problem because of purchase tax, which stipulated that you could produce a hundred copies and not pay any purchase tax but if you produced a hundred and one you'd have to pay tax on the lot. So many of those records only ran to a hundred copies, but this was usually enough to satisfy the immediate demand. If the demand was higher than 100, we could get around the purchase tax by making a separate issue of the same record. For instance, if 100 copies of something on the Ristic label was not enough, I would completely remaster the thing and produce a new cut for my other label, which was Bateau Chinois, which, by double translation, means "Junk"! By this means, I could get over the problem of producing more than 100 and still remain within the law. N.D. Did you actually make any money out of Ristic? J.R.T. Oh good God no! At least I don't remember making any money out of it, any more than I really remember making money out of music until the Temperance Seven - not that we made an awful lot out of that! N.D. When you left the 'Temps in 1968, you were already well known as a transfer engineer, re-mastering 78s, weren't you? J.R.T. I suppose so. I never really paid much attention to what I may have been well-known for. I know that the press has been extremely kind to me in the last few years. N.D. What drives your obvious enthusiasm for re-mastering 78s? and indeed disseminating the music that I love. N.D. There are some danger areas associated with re-mastering, aren't there? J.R.T. Oh, lots of them! N.D. Can you talk about some of these? Add nothing, take nothing away." I want to retain as much as possible of the original recording, even if it happens to be in a rather low proportion to the overall sound on the recording. It's important to preserve it because somebody may want it later. There are compromises of course. When you are cutting an analogue disc, for instance, there is only a certain amount of time, level and character that you can put in and you may have to juggle in order to do it. This is, I think, legitimate compromise, but when you are actually re-mastering a nugget of sound, be it an electrical recording from 1930 or a cylinder recording from 1900, that nugget of sound is the important thing and should be disturbed as little as possible. I feel that the performance is the most important consideration. I will not 'clean up' a recording at the expense of the performance. N.D. When a company approaches you to do a re-mastering job, what is your attitude towards those organisations that say "we are going to mass-market this CD and we don't want any surface noise whatsoever"? J.R.T. Frankly, I tell them to go somewhere else. My services are tempered by the job that I am asked to do. For instance, I do carry out record repairs and although I wouldn't say I was brilliant at it (he is! - n.d.), I am sufficiently patient to do the best that my abilities will allow. If somebody brings me a scarce Paramount recording, of which only three or four copies exist, then I will maybe spend two or three days repairing that record and it will cost them nothing. On the other hand, if somebody wants me to repair a broken copy of Bing Crosby singing 'Home on the Range' on Rex, I want �50 before I even look at it! In other words, if it's rare and important to save then it doesn't cost. I am not in any of this to make money, but merely to further my own ends of making some attempts to enable a future generation, and indeed the present generation, to enjoy what I have enjoyed. I believe that if you, as it were, palm off to the public a sort of dumbed-down version of the original, beautifully cleaned but lacklustre, you are not doing jazz or its audience any favours at all. In fact, you will drive potential listeners away from the music. N.D. As the technology of re-mastering becomes widely accessible - with the availability of cheaper software - a lot of collectors could potentially re-master recordings themselves. J.R.T. The positive aspect of this is that, given the opportunity, technology may result in new ways of looking at remastering. I am, however, concerned that many people who use re-mastering software packages installed on their computer will probably never concern themselves with the manner in which the recordings were originally made - how they were processed and how they were pressed. This information is essential and this is where homework pays off. N.D. You were talking about dissemination. As we move further away chronologically from the original recordings, there's a couple of issues that need to be addressed. For one thing, a young person with ears attuned to modern digital recordings may have a problem listening to pre-stereo or pre-LP recordings. Do you agree? J.R.T. Oh yes, indeed. Obviously, you can get more out of a classic work if you can read it in its original language. There are, however, answers to the lack of the public's ability to interpret this aural evidence. 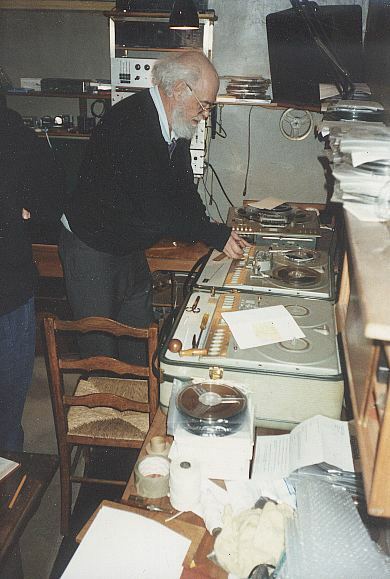 A few years ago, Robert Parker spent a lot of time and care in putting together stereophonic representations of early recordings. In fact, I think he did us all a favour. I don't like it myself, simply on the basis that you can't change the venue after the event, but he did make available some classic pieces in a form in which those who had never experienced a 78 or even a monaural recording could actually, to a point, enjoy masterpieces of a bygone age. I think he should be handed a golden platter for this achievement. N.D. Do you think, therefore, that younger people need educating in order to enjoy the original, unenhanced recordings? J.R.T. You can't force someone to listen to acoustic records, but on the other hand if you play them a sound from acoustic records, efficiently well represented, it will actually fall upon their ears well. If they like what they hear, then they will go out and pursue the music themselves. N.D. But there are some younger people today who've never heard any of the classic recordings by King Oliver or Jelly Roll Morton and therefore can't appreciate the music, simply because they don't even know it exists! J.R.T. Yes, we do have a segment of the public out there who think that jazz started with John Coltrane. There's nothing seriously wrong in this. I mean, does it actually matter whether or not you know who Joe Oliver was? I would like to think it does but I can quite see that it is probably not important. What hurts me are those who write, often seemingly eruditely, about the subject of jazz music without having actually heard anything from the first 30 years of its recorded existence. N.D. If jazz is a form of music that is by nature transient, why is it important to listen to recordings from 40, 50, 60, 70 or even 80 years ago? J.R.T. It becomes important because whatever your interest, you need to know where each development came from. Call it homework if you like. If you don't understand why? where? who? when? then you are at least only partly sighted. At least one should trace it back a generation or two before the era of your particular interest. Otherwise, you are going to lose out on your enjoyment of what you are listening to. N.D. You've got a very impressive collection of jazz recordings on 78. Apart from their musical content, as inanimate objects do they have any intrinsic value? J.R.T. Not really. I know that there are collectors who buy records, put them carefully on the shelf in numerical order and then say 'I've got those' but never actually listen to them. That's not me. Each of these little round black things is in fact, in my view, a time machine. You take one of them from the shelf, put it on the turntable and you are treated to a three minute segment of time, which happened 70, 80 or whatever years ago. Oh yes, it's very nice to have the original artifact but you will find that I don't have all my Jelly Roll Morton's on Victor or Gennett. N.D. So you're not a stamp collector? J.R.T. In terms of records, I am NOT a stamp collector. I am only looking for the most complete version of a recording, which is to say if it happens to be an Australian HMV, as opposed to an English HMV or an American Victor, I'll take the Australian because, by and large, it's likely to have more accessible information (Australian HMVs being laminated pressings and therefore lacking the detrimental micro-pitting found on most unlaminated English HMVs - n.d.). Yes, original labels are pretty to look at, but if they're on my shelves they are only there because they happen to have the best reproduction I could find. N.D. So what do you think about other collectors who must have the original recording on the original label, even if this is of a lower quality than a subsequent master pressing on another label? J.R.T. Well, they have another reason for collecting. It's the same whatever you collect. Take stamps, for example: some people put their stamp collection in a bank vault and think of it as merely being a hedge against inflation or something as stupid as that. The reasons for collecting are many. My reason for collecting is to have the music and to be able to pass it on. N.D. Which record companies, active during the 1920s or 1930s, do you particularly admire in terms of their standard of recording quality and consistency? J.R.T. I love the sound of recordings by the early Okeh company, both their acoustic and their primitive electric records. They have warmth and clarity. I like also like the mid to late 1920s Victor records because they are very 'human' in the way they are recorded - for instance, the way they capture Bix's bell-like tone. All right, you can fault them on technical grounds. On the other hand, the later Western Electric Columbias are difficult to fault on technical grounds but they don't have that human aspect and consequently they don't capture Bix's warm tone in the way that the Victors do. N.D. If I were to play a Faustian role and offer you the chance to go back in time and hear King Oliver's Creole Jazz Band live for a week but in exchange you have to give me all your original King Oliver recordings, would you do it? J.R.T. Oh yes! Oh yes! No doubt about that. I have a couple of Oliver Gennetts in very nice condition, in addition to Okehs and a row of Brunswicks, Vocalions and things like that. I would happily give them all for just one night, decently seated at the Dreamland in Chicago in 1923. I think the memory of such a real experience would quite obliterate any feeling of loss of the records. Having given away the records, then at least I would rest happy in the knowledge that I've got them all on CD as well, transferred by myself from these very copies.